Share every moment of your outdoor adventure as you live it with our selection of outdoor action cameras. 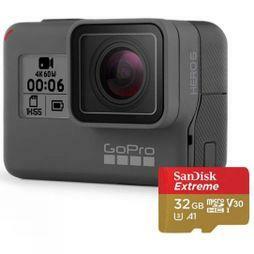 To ensure you have the photography equipment for your trip, we sell action cameras with 4k resolutions so it's never been easier to get the perfect shot. 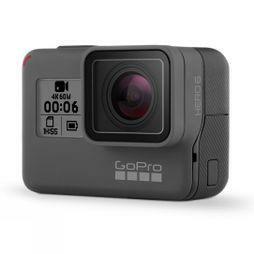 Whether you're capturing stunning landscapes or memories with your family, In our range, you'll find action cameras from GoPro and Silver Label with ultra-smooth image stabilisation so you can quickly capture those moments in high definition. If you'll be diving or kayaking, we offer durable waterproof action cameras designed to be used up to 60m below sea level. 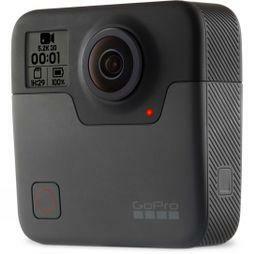 Perfect for activities of varying intensity, our outdoor action cameras allow you to preview and playback your shots. Because they feature auto low light and exposure control, you can take photographs throughout the day, at different levels of brightness. They're easy to mount to your headgear, too. Browse our full collection today and enjoy free UK delivery on your order.